Daughters are always like those eye candies for the Father. Its overwhelming for him to see them grow. This Video is made during the Sari Ceremony of Adhiti and Anya at Taj Deccan, Hyderabad. 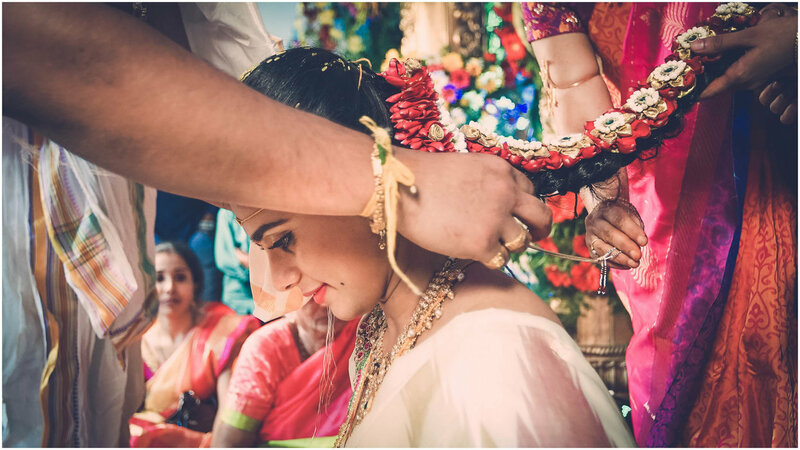 A fairy tale wedding of Rahul & Sudha from the lensmen of Weddingscapes Team. International Weddings - Proved time and again....Love has no Boundaries! A Beautiful Family Pre Wedding Event @ Aashiyana - Hyderabad. A stunning family get together @ WESTIN HYDERABAD ! We are a professional photography services company based in Hyderabad . We have been running a professional photography business for 2 years, specializing in Wedding, Theme Wedding, Destination Wedding, Reception, Marwadi Wedding, Gujarati Wedding, Bengali Wedding, Catholic Wedding, Maharashtrian Wedding, Concept Wedding, Engagement, Couple Portraits, Bridal Portraits, Indian Wedding, Muslim Wedding, Hindu Wedding, Candid Wedding, Pre-wedding Shoots, Christian Wedding, North Indian Wedding, South Indian Wedding, Babies & Kids, Kids Portraits, New Born, Commercial, Art & Culture, Travel and Destination/Sights photography. We undertake customized photography requirements. Some of our products and services include Live Streaming, Brochure, Enlargement, Photobook, Frames, Poster, Promo Videos and Lamination. We provide services in Telangana. We are proficient in Hindi, Telugu, Kannada and English. Sudhakar is such a fun, comfortable person which helps the subjects to relax and have fun.it shows in his photos .he has loads of patience to capture pics of our family Nd positions for beautiful Nd flattering shots. Well; to start with, I just can't thank these guys enough, for the beautiful way they have put everything together. I could experience and relive the best moments of my wedding through the stills and the videos. Their creativity just blew my mind, for the restrictive timelines and customs we had in the wedding and the not so smooth amalgamation of Tamil and Telugu customs were also captured so perfectly through their magic boxes (Cameras). Sudhakar and Chandra, you guys are "Simply Awesome"! Cheers! Wonderful Service.Very happy and satisfied with the service.I would highly recommend this to others for the kind of efforts they have put into creating some memorable moments for us. Your message was successfully sent to Weddingscapes. The Photographer may contact you soon.